Over the past few months, there has been, appropriately, a buzz in Canada about a specific date. It’s not an upcoming holiday, nor the debut of Kawhi Leonard with the Raptors. Today's date has been the topic of choice for marketers, journalists, and enthusiasts alike. While the excitement continues to build just days before the Cannabis Act gets the Royal assent, players in the food industry still have more questions than answers. What will it mean for Canada after October 17th? 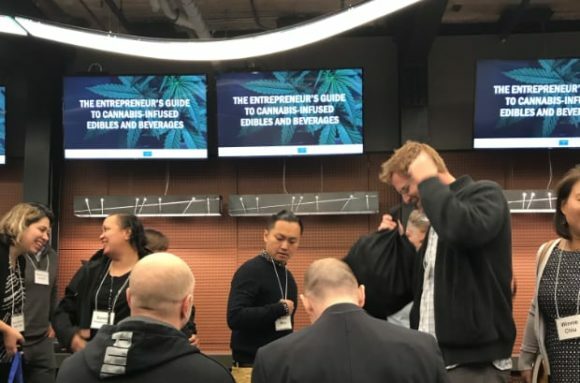 On October 15th at George Brown College’s FIRST (Food Innovation and Research Studio) event, ‘Guide to Cannabis-Infused Edibles and Beverages’, cannabis entrepreneurs, lawyers, producers, and food industry professionals gathered for a seminar covering the knowns and unknowns of the cannabis-infused edibles market. Kicking off the day-long event was a talk by The Herbal Chef himself, Chris Sayegh. Known for disrupting the fine dining experience in Los Angeles with his herbal infused dinner series, Chris elevates his meals by layering each course with terpenes, the compounds found in all plants that give them their distinctive aroma and flavour, and with cannabinoids, either the psychoactive component of cannabis (THC) or the non-psychoactive CBD that is said to help with anxiety and counteract the effects of THC. Over the span of about 2 hours, dishes are finished with finely crafted infusions of CBD and THC, to create an experience that is enjoyable and promotes socialization. With each dinner being dosed with up to 10mg of THC, the experience promises an pleasant buzz, similar to that of a night of drinking wine. But, while the sale and consumption of edible products are legal in other parts of North America, they are largely unregulated. So what will be legal starting this week? According to the Department of Justice, Canadians will now be able to buy and share up to 30 grams of dried, fresh, or liquified cannabis oils. The cultivation of up to 4 cannabis plants per residence will also be allowed for personal use. The new regulation further provides for the personal creation of cannabis-infused products like food and drink. However, it prohibits their sale. With the speculated date for the legalization of edibles still being at least a year away according to the government of Canada, entrepreneurs are using this time until then to cement the gaps of the unknown. Production aspects like legality, food safety regulations, and packaging specifications, all the way down to retailers and licensed establishments are hot topics for consideration. While comparisons between cannabis use and alcohol are often made, the one solidifying piece of truth is that there is just not enough time or money spent on cannabis research. What we do know is that the bioavailability of cannabinoids changes through different methods of consumption. When a person ingests cannabis through an edible product, the proportion of active THC and CBD that enters the bloodstream varies from person to person. However, it is widely acknowledged that ingesting is the most efficient method of reaping the effects. The benefits of ingesting edibles are exciting to many, not only because of its effective absorption but also because of the ability for consumers to more accurately choose a dose that they are comfortable with. Other external factors can, of course, mitigate or aggravate the absorption of the cannabinoids, such as alcohol, which speeds up the metabolization of the active cannabinoids in the bloodstream. This poses its own set of threats to businesses wanting to step into the edibles market, as well as to liquor-licensed establishments such as restaurants that already serve alcohol. While many consumers might not be quick to jump on the smoking cannabis bus, Mark Whitmore, Vice Chair and Global Leader for Deloitte Private alluded that there is a lot of money to be made in the edibles sector. Edible cannabis products are set to make up approximately 60% of the $7.17 billion cannabis market, according to Deloitte’s 2018 Cannabis Report. In addition, respondents to the Deloitte survey are willing to spend up to 10% more for legal, regulated product, suggesting it will be big business in the future. Creative concepts for cannabis-infused edibles are beginning to pop up in Canada even ahead of their legality. Everything from cannabis-infused athletic recovery supplements to infused de-alcoholic wine and beer to confectionaries is being explored by entrepreneurs who hope to take a piece of the cannabis market. Questions are already being discussed such as which licences will be required and whether establishments that are already allowed to serve alcohol will be able to also serve cannabis-infused beverages, given the adverse effect of adversely mixing the two. It was also mentioned at the GBC Guide to Cannabis-Infused Edibles and Beverages by the Executive Director of Smart Serve Ontario Richard Anderson that it will be important for establishments to train their front of house staff to recognize a whole new set of symptoms of impairment to minimize liability. One of the reasons for the lengthy regulatory wait for edibles is that, in this case, marketing can have a huge impact on consumption, especially with children. With the forthcoming edibles regulations, whatever they might be, you can bet that branding requirements will lack bright colours, characters, or any aspect that might be appealing to children. As was learned in Vancouver early last week, edible products will have to be easily distinguished from normal consumables, so warned Chad Finkelstein of Dale & Lessmann LLP. Branding will figure to be one of the biggest challenges for marketers of cannabis, with strict regulations being required for packaging. 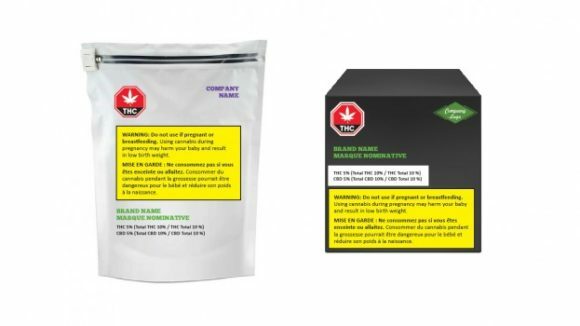 According to Health Canada, bags of cannabis must be opaque or translucent, have no images or branding on the inside or outside, have no VR components, and no scent or sound coming from the bag, among other restrictions, leaving minimal room for brand recognition. Even with the GBC FIRST event, which was sponsored by premium cannabis dispensary company Haven Street, traditional marketing will play a minimal part in the cannabis industry. Much like the restrictions on promoting tobacco, cannabis advertising will most likely be limited to the point of sale, making brand marketing difficult to achieve. From this point onward, there will be a lot to learn from the industry. As we navigate through what is uncharted territory for Canada, the way we market products and the way we look at edibles will undoubtedly change.